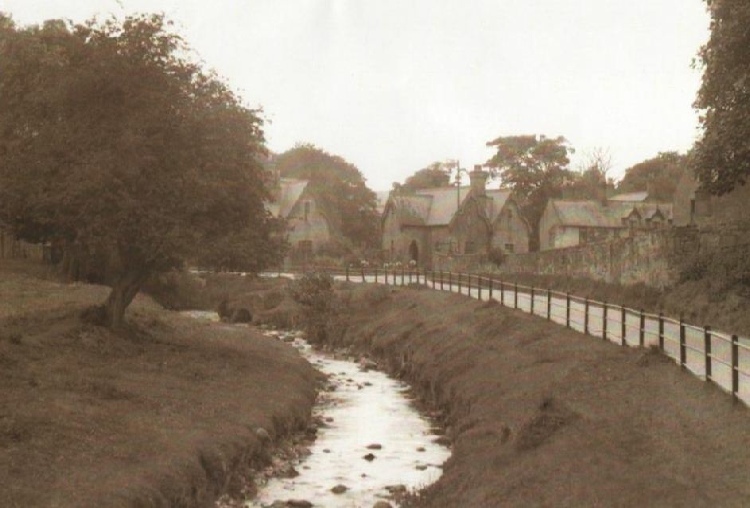 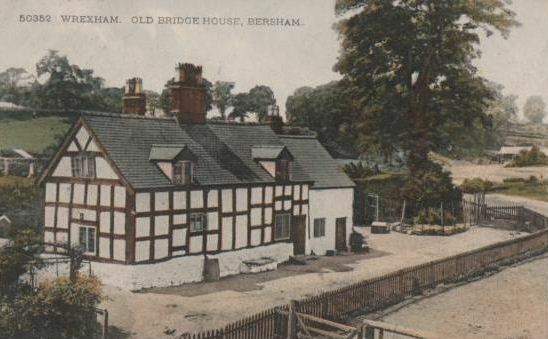 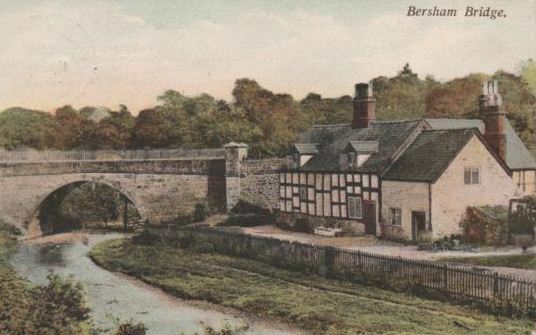 Although this website is devoted to the history of Rhostyllen I could not resist a section on the neighbouring village of Bersham! 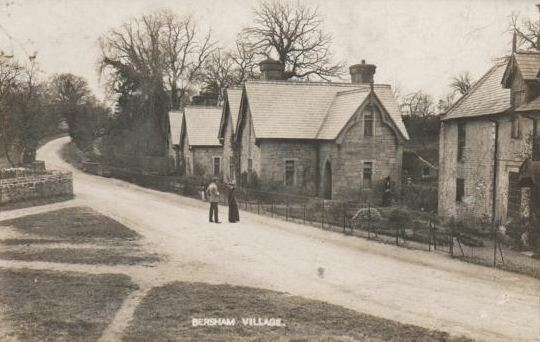 “There was no village called “Bersham”. 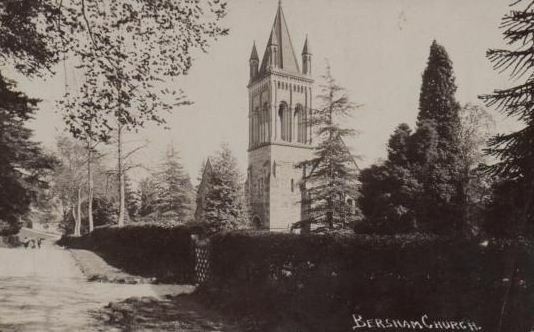 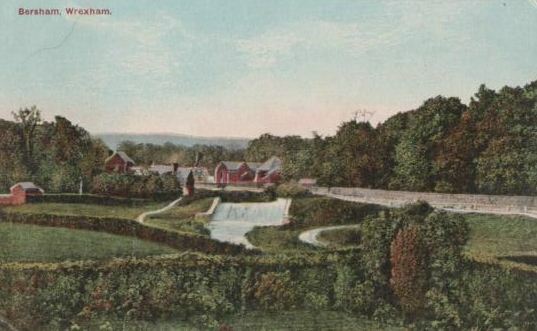 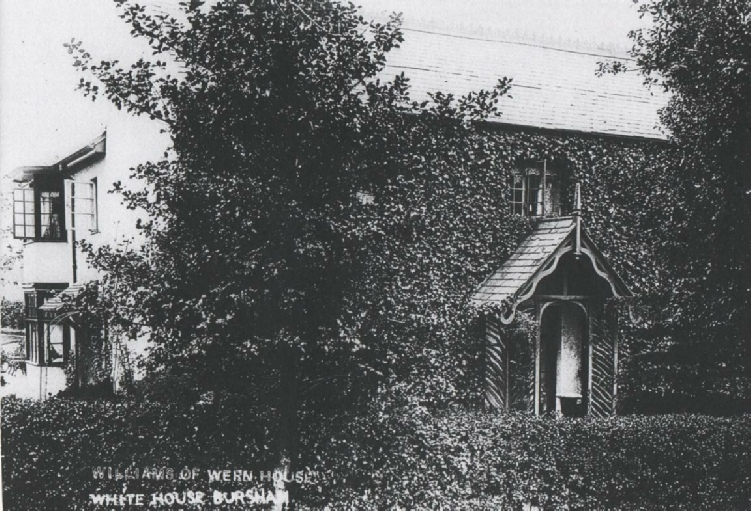 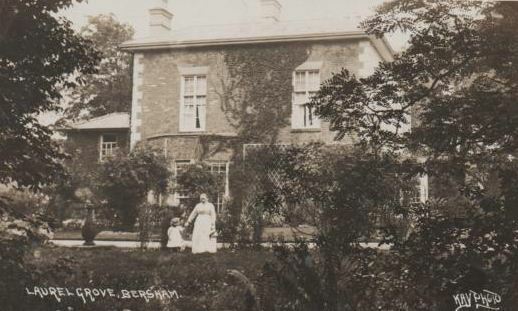 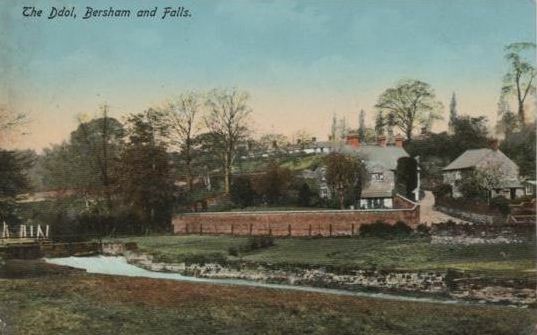 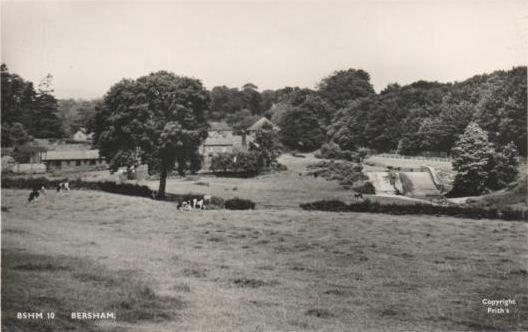 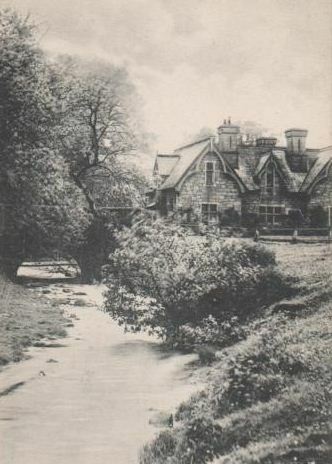 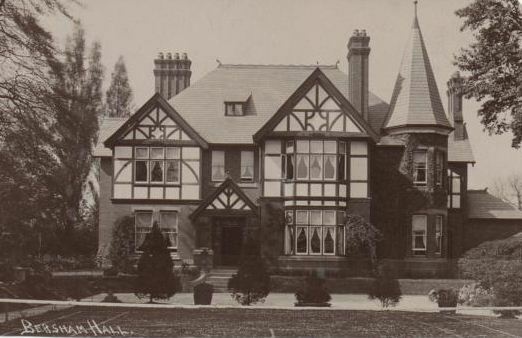 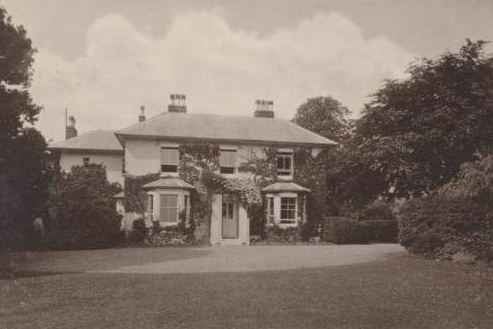 “Bersham” was the name of the township and was formerly a member of the free manor of Esclusham. 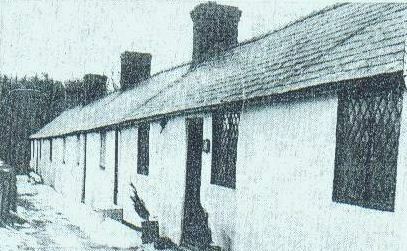 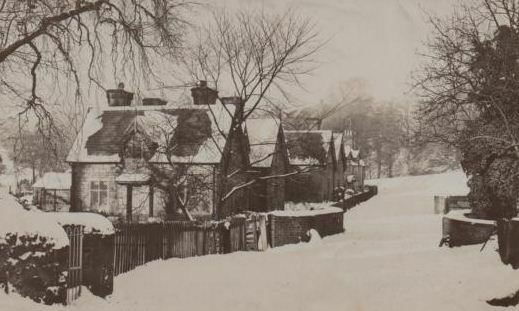 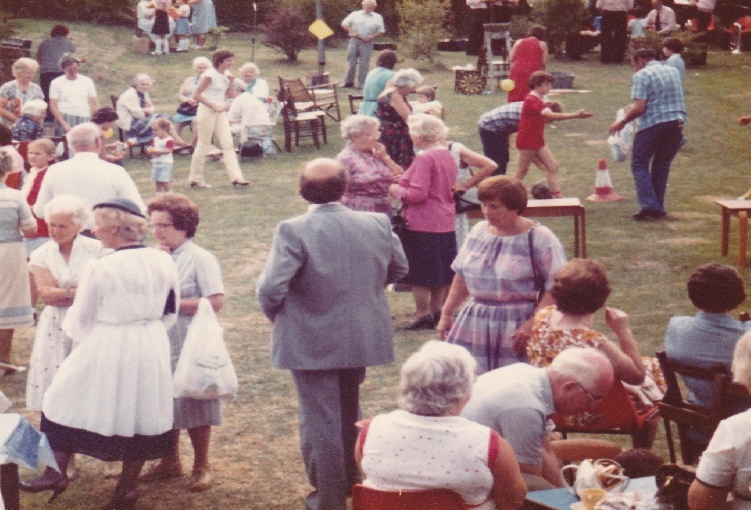 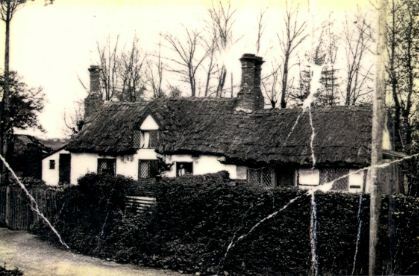 The village itself was formed by two adjoining groups of cottages. 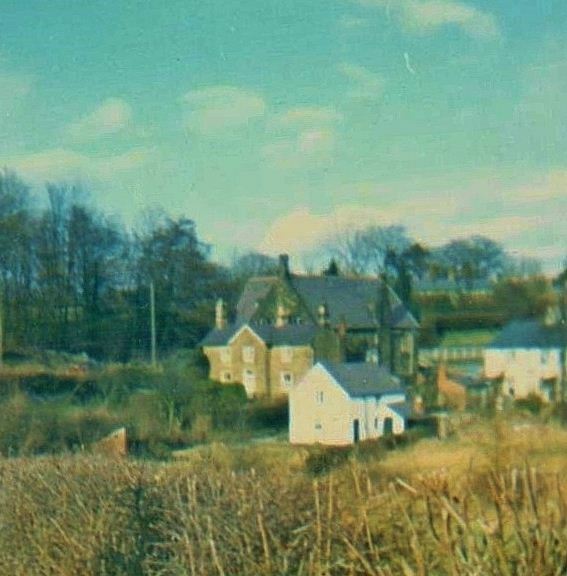 “Pentre dibynau” (Hamlet of the cliffs). 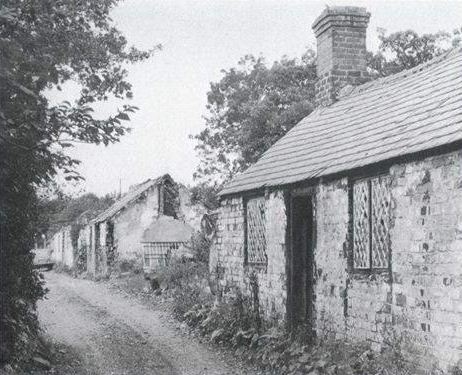 The other hamlet was a cluster of cottages sometimes called “Dol Cuhelyn” (Cuhelyn’s Meadow), sometimes “Dol Cae Heilyn” (Meadow of Heilyn’s field). 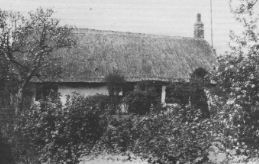 It is now known as “The Ddol” - (Source A N Palmer 1903). 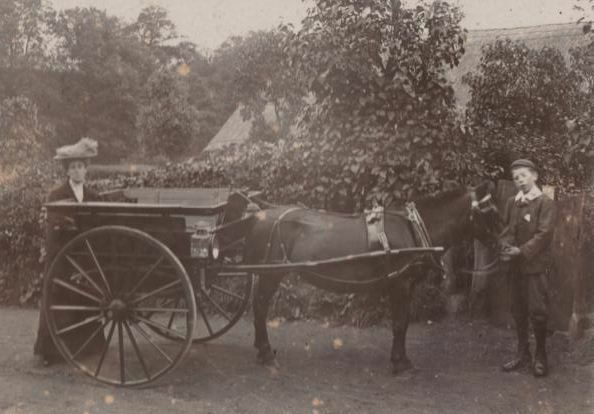 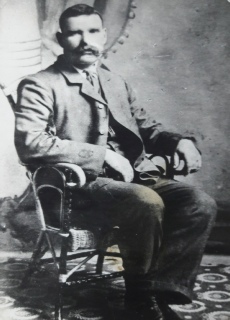 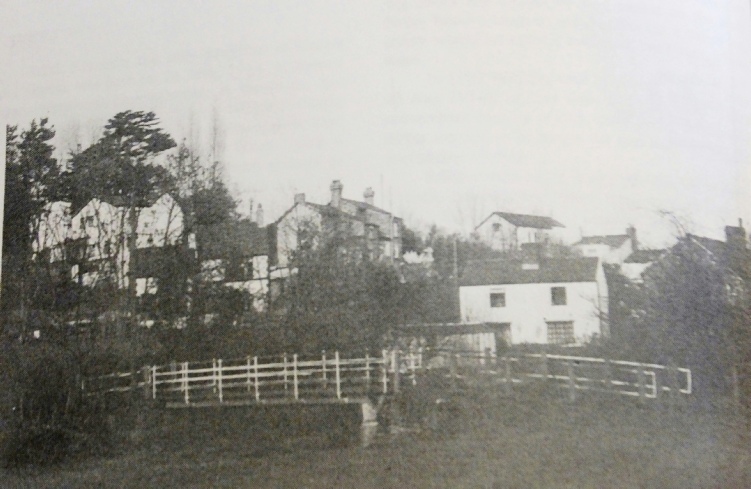 “The village holds special importance for economic historians, for not only did it house the workshops of the skilled Davies brothers, it was one of the cradles of the Industrial Revolution. 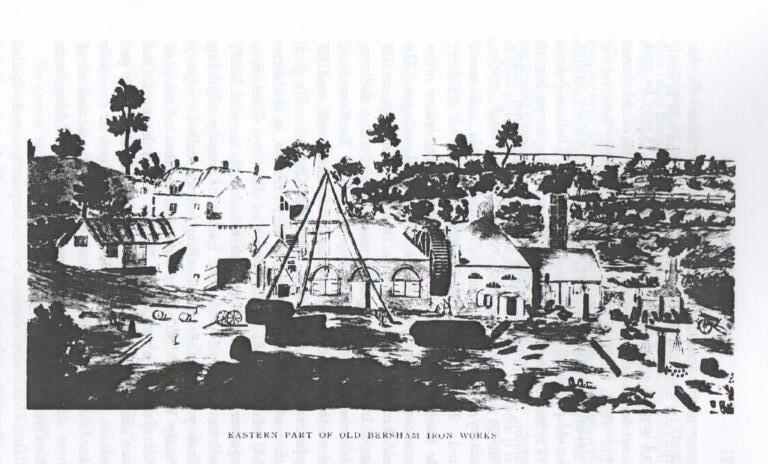 This is the place where British iron making began in 1670, where smelting iron ore with coke began in 1721, and where John Wilkinson, the 'Iron Mad' pioneer of the Industrial Revolution, set up shop in 1761. 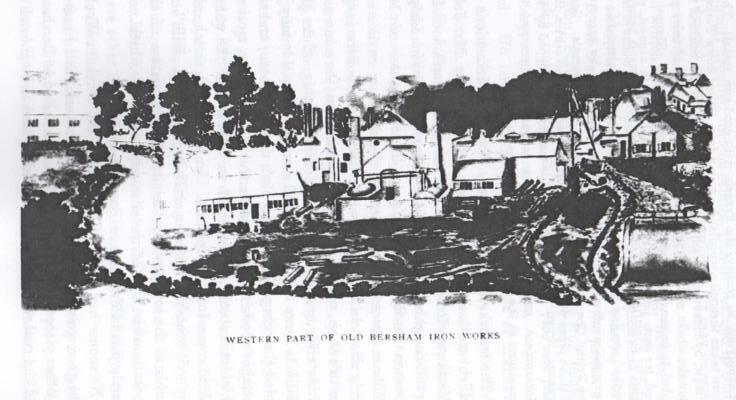 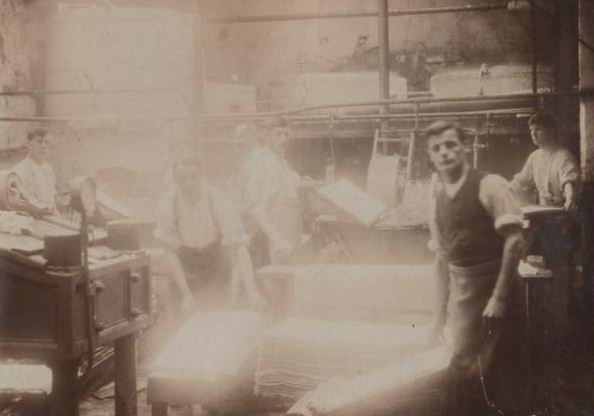 For many years the area was one of the most important iron manufacturing centres in the world. 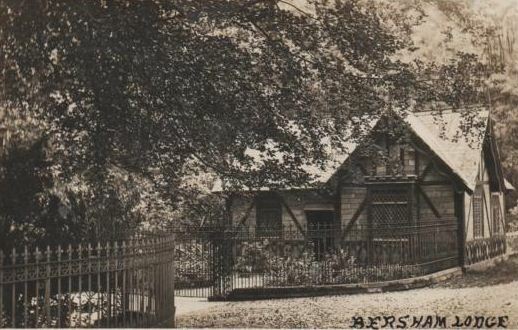 The Bersham Ironworks Museum tells the story of the man who bored cannon for the American War of Independence and cylinders for James Watt's revolutionary steam engine that changed the face of the world” – (Source Wikipedia). 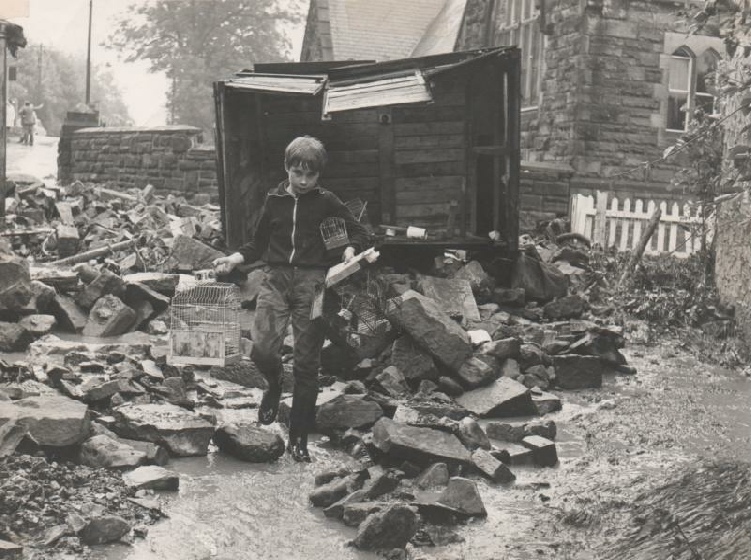 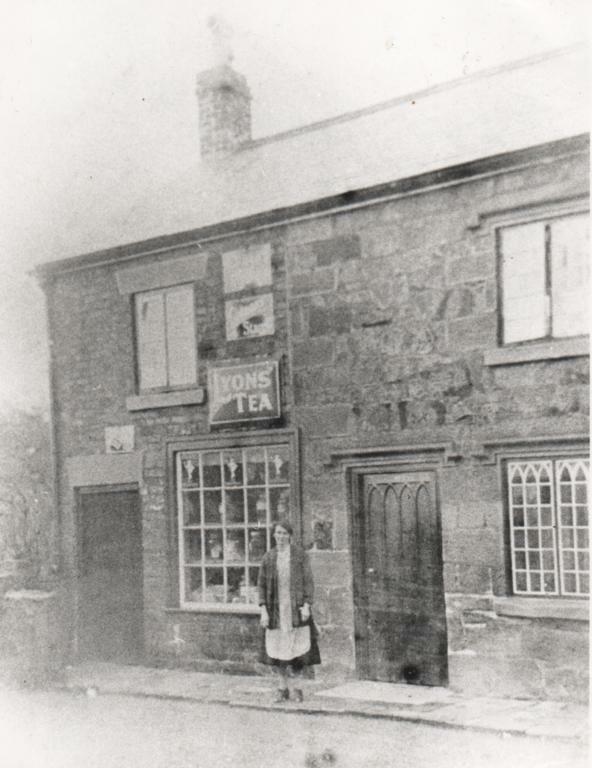 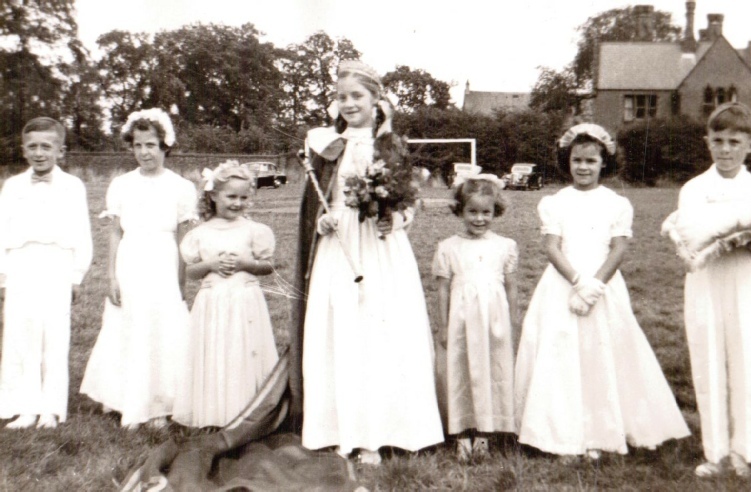 As a child I had a paper round in the village and I remember there being a shop and a chapel. 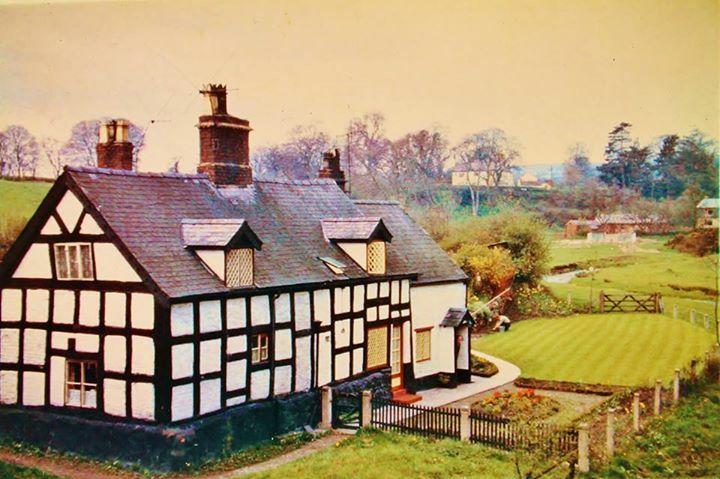 Many of its older residents told me that it was such an idyllic place before the A483 was driven straight through its heart. 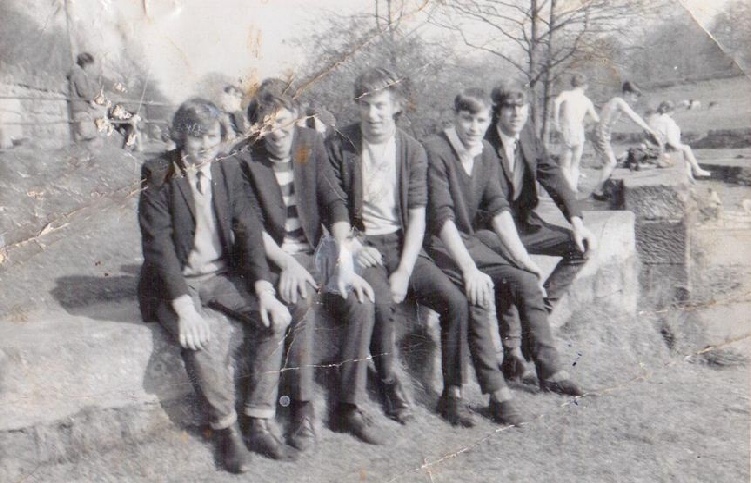 Peter Baker, Arthur Edwards, Ken Pritchard, Rees Thomas and Eric ( Cedric ) Weir. 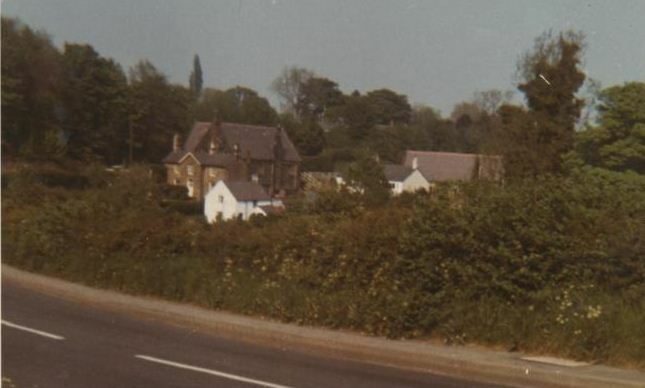 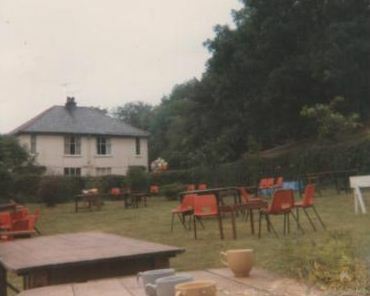 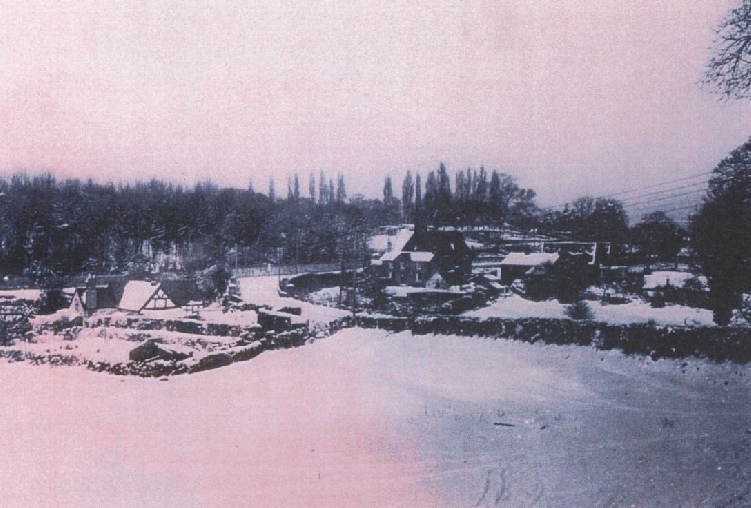 “Top school is the large stone building in the centre of the picture, the caretakers house is the smaller one attached this side of it with 5 windows, 1 door, Top school was not attached to the other part of the school now known as the heritage centre, we had to walk outside to get from one to the other” (Ken Pritchard). 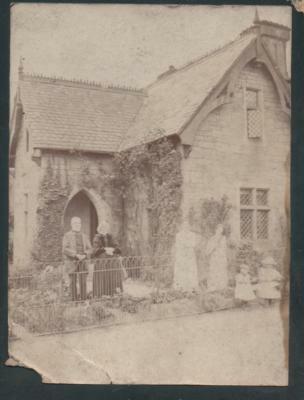 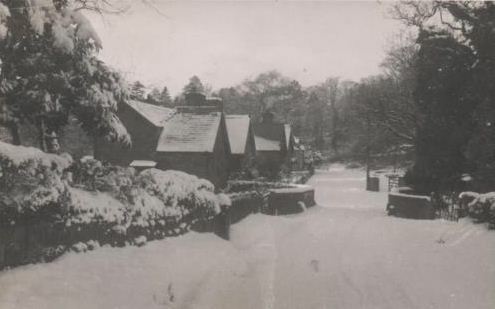 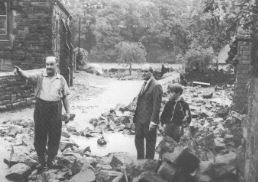 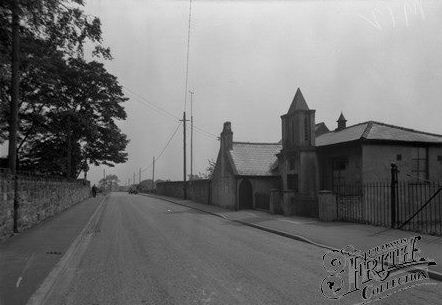 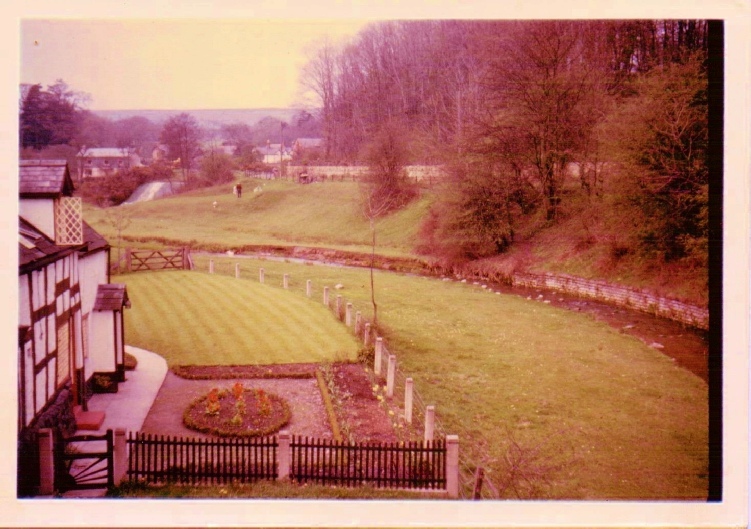 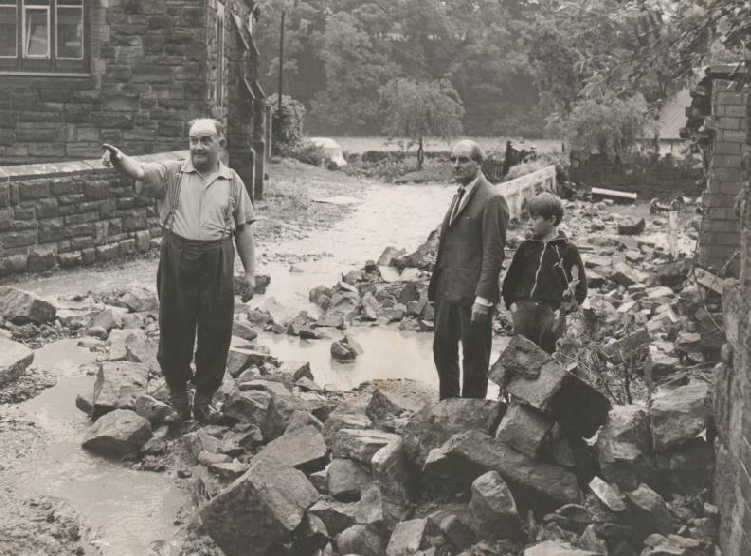 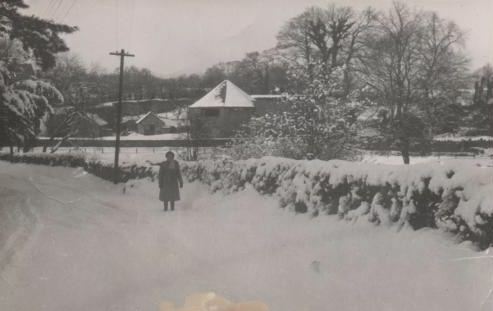 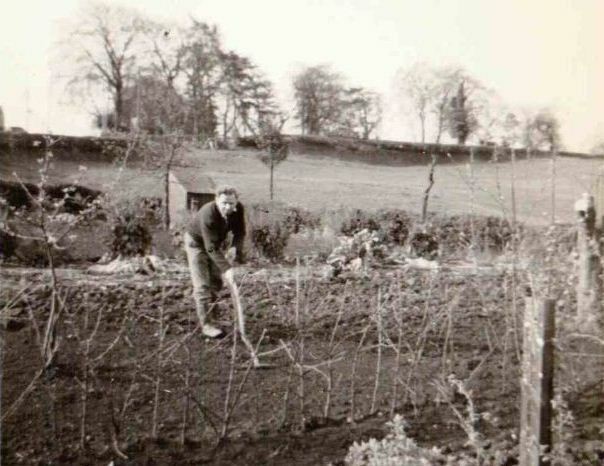 This man would be looking roughly towards the Bridge House, Bersham, with Top School and the caretakers house in the background. 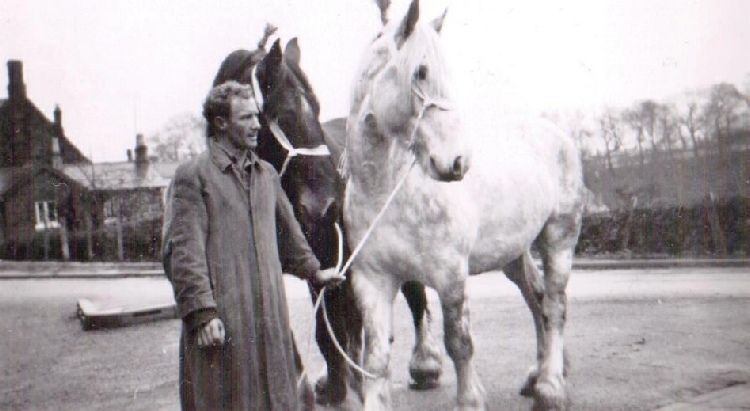 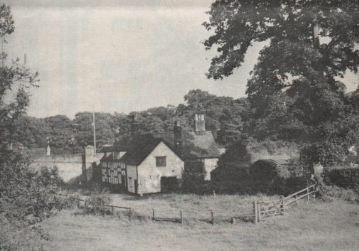 To the right of the horses is the wood and beyond would be the 48 steps leading to Station Road. 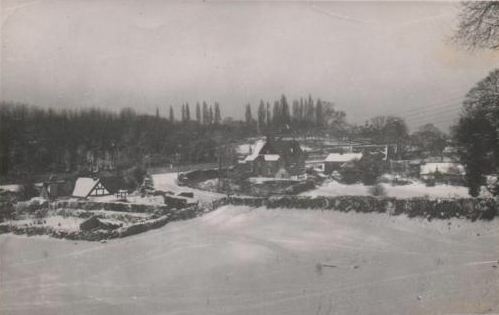 He's on the junction of Bersham Road and Plas Buckley Road. 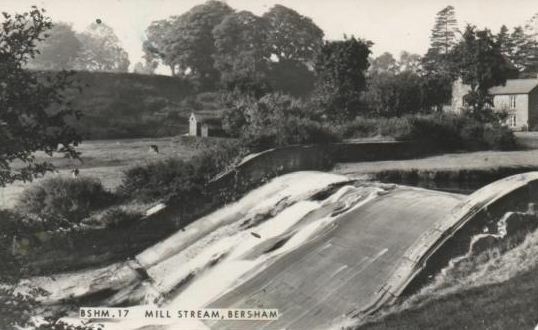 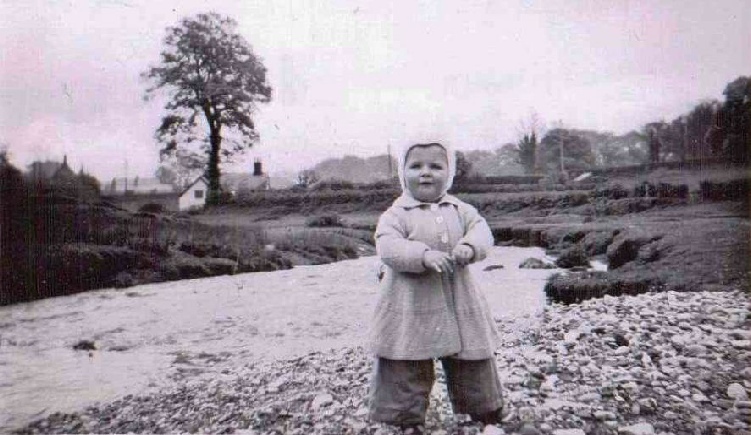 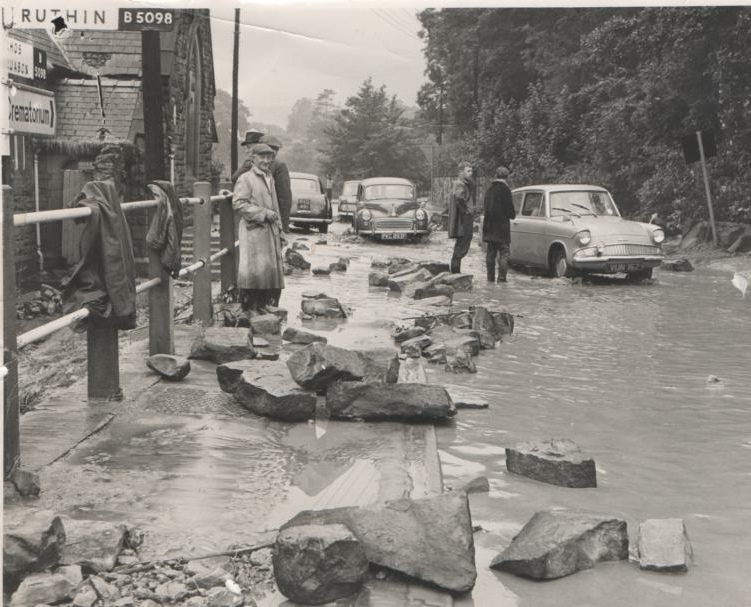 As you go down the hill into Bersham from Rhostyllen, he would be standing on the left as you go over the bridge. 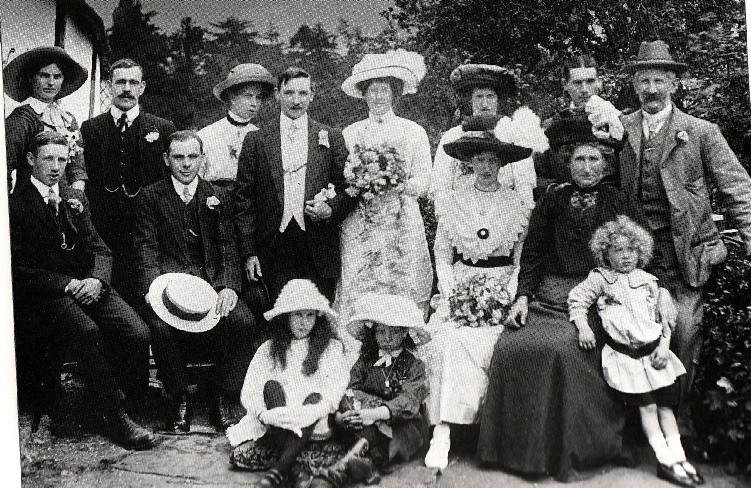 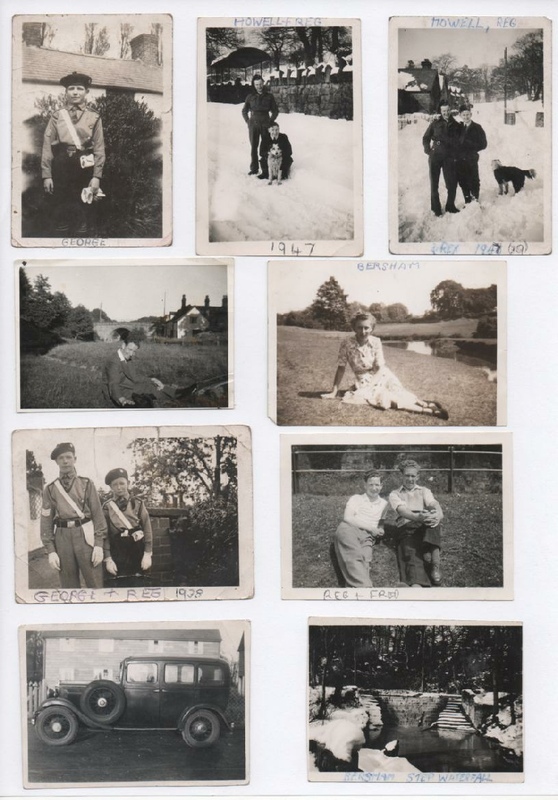 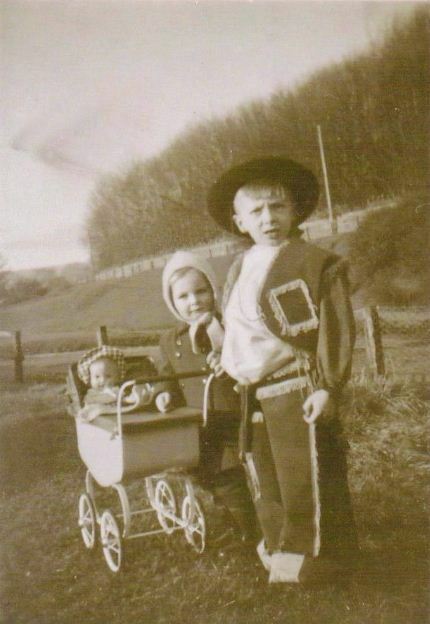 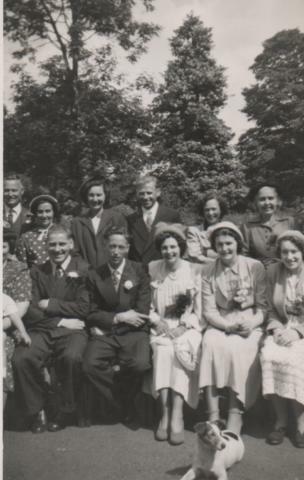 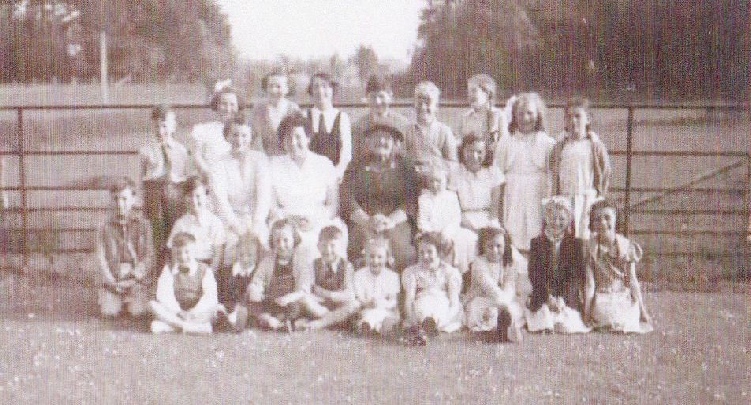 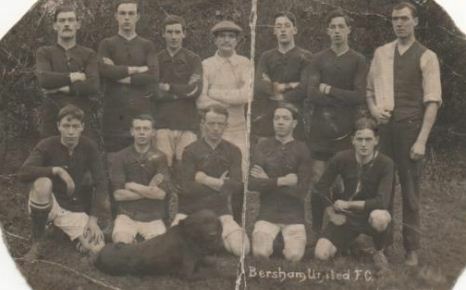 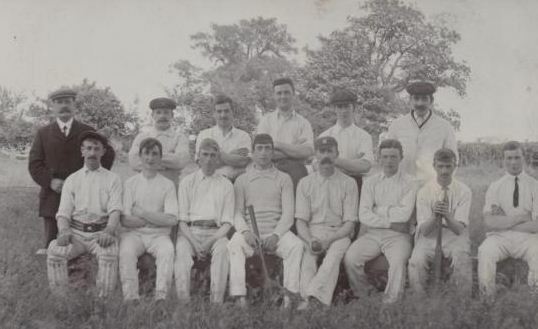 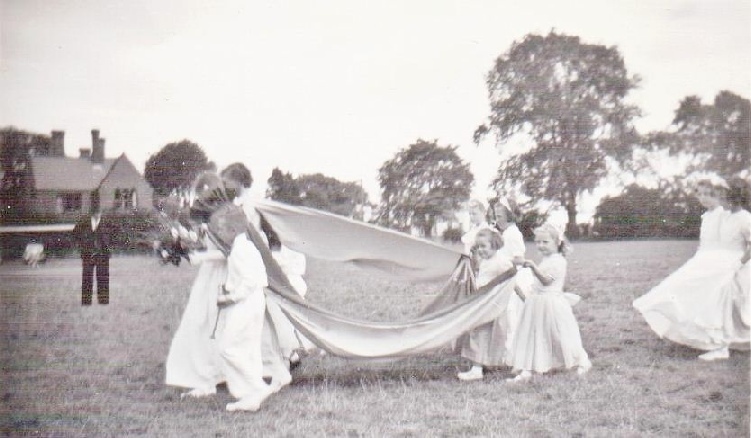 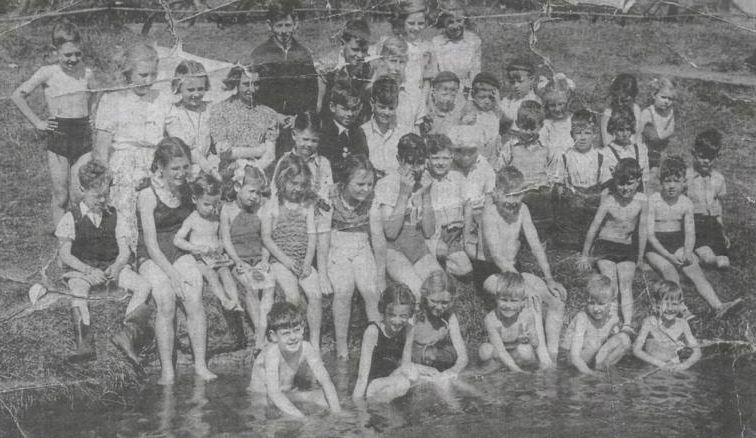 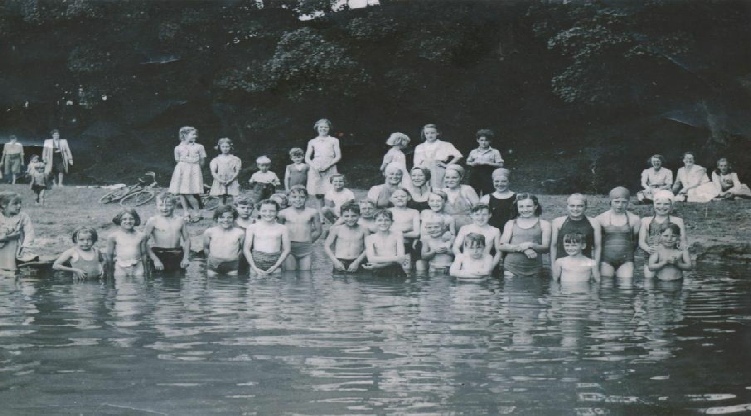 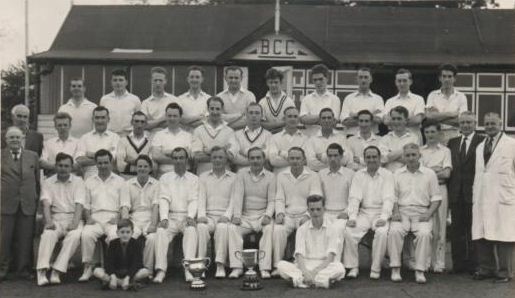 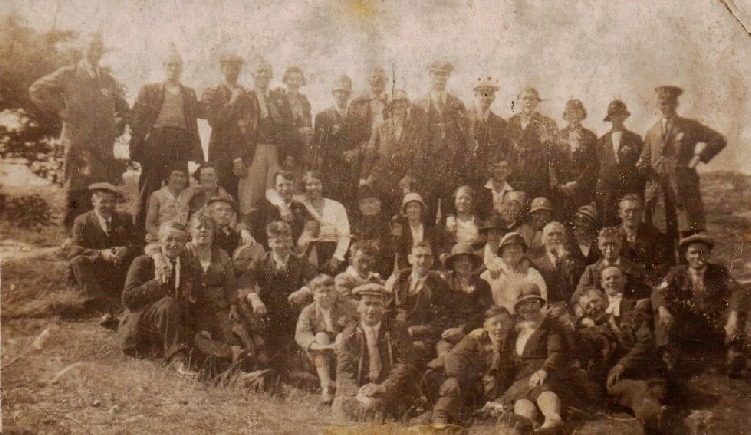 “I think that the little lad on the right, 3rd row back from the front, in braces, is my late husband Elwyn Evans, son of Orville and May of Trevor Avenue” Ann Evans. 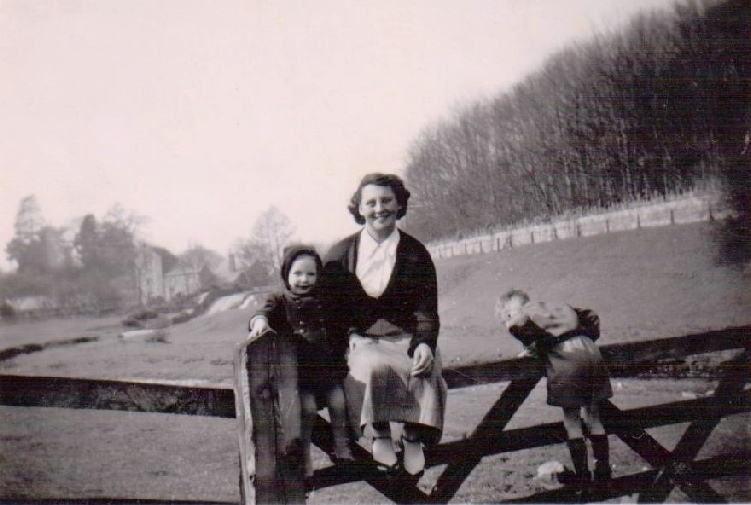 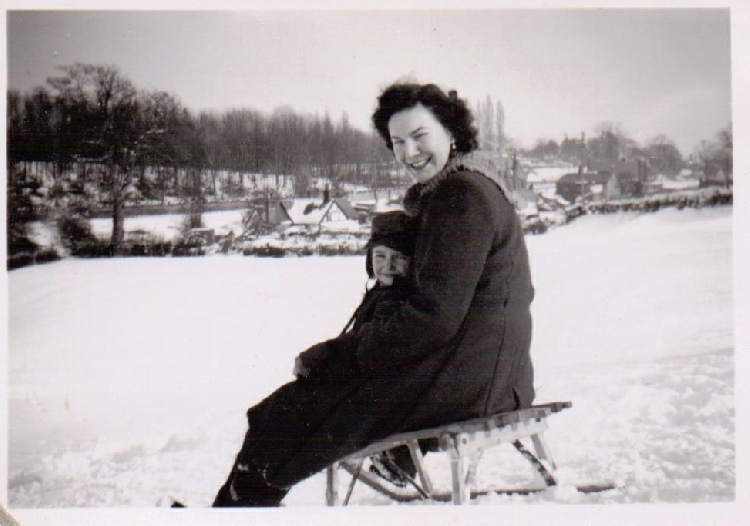 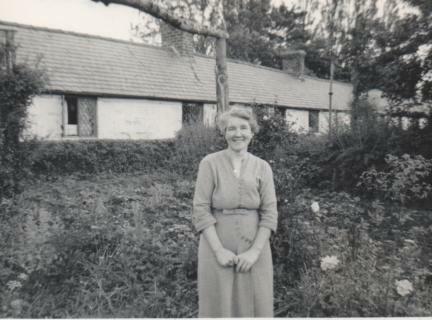 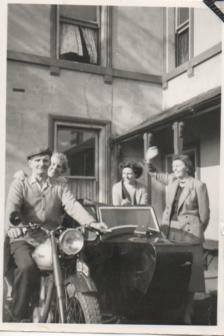 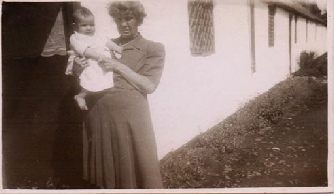 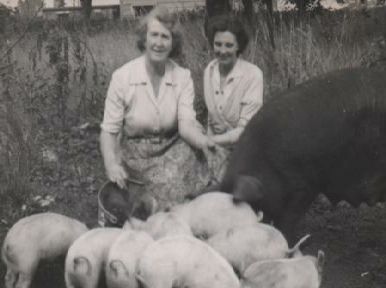 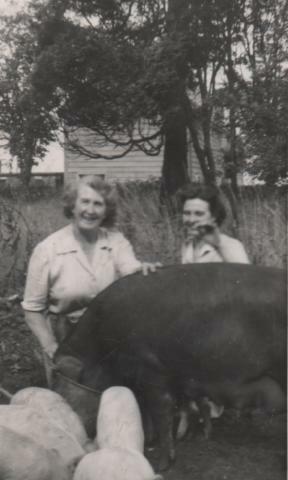 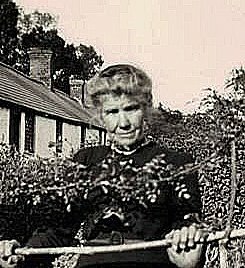 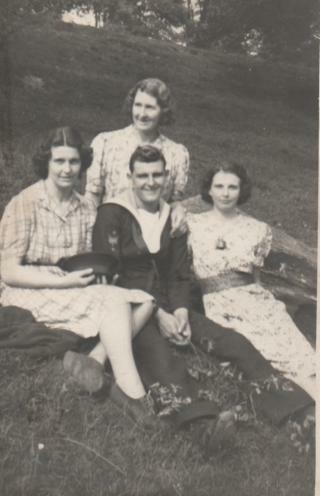 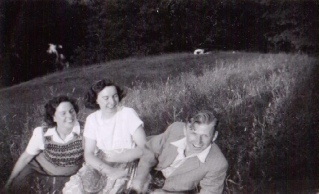 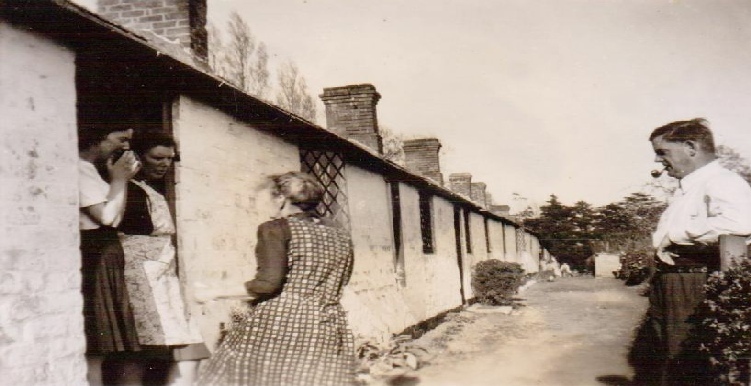 1940’s - The lady in this photograph is thought to be Mrs Thomas from Mill Farm? 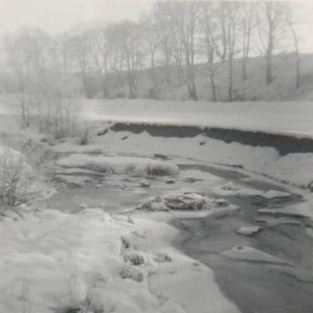 The man who took these photographs in the early 1970’s was Fritz Franke. 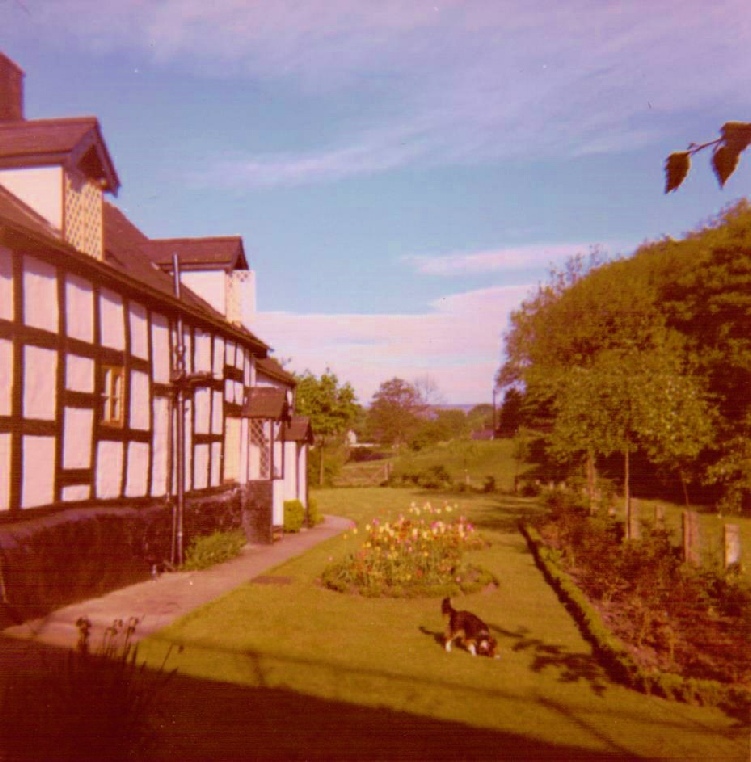 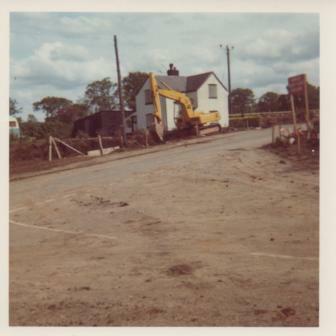 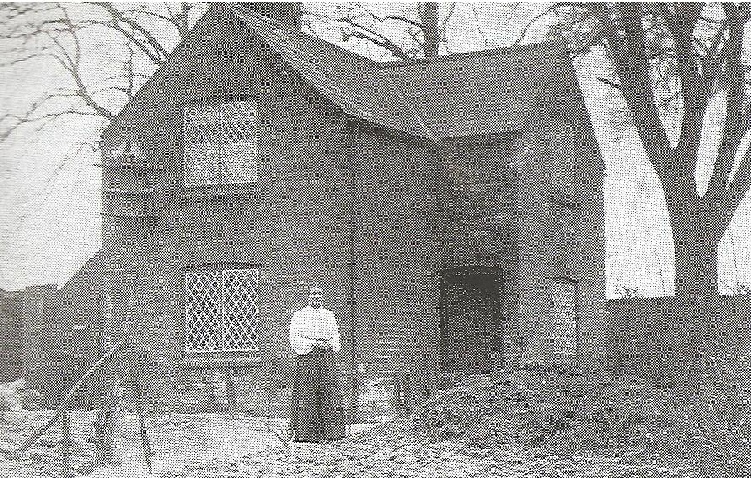 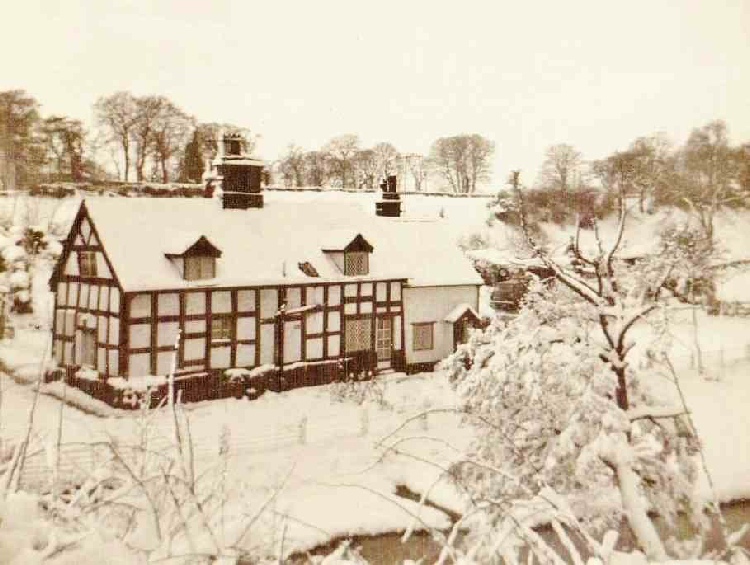 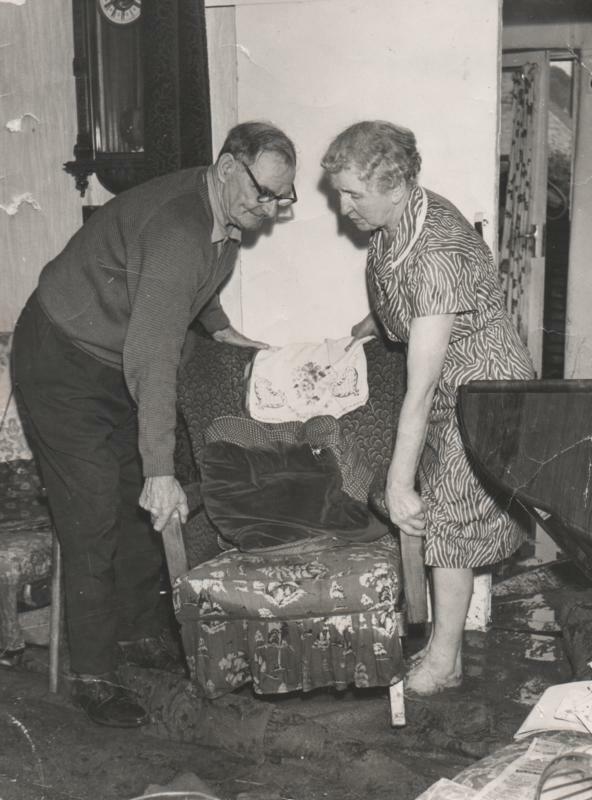 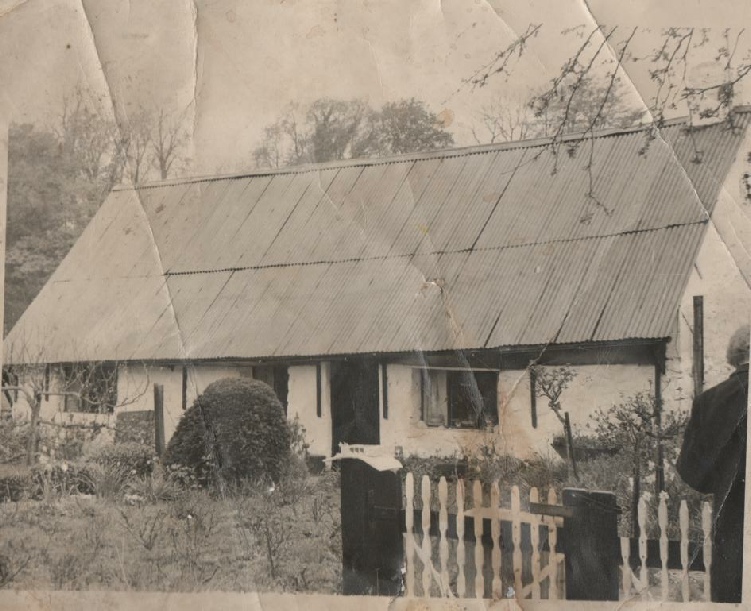 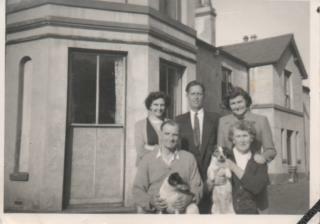 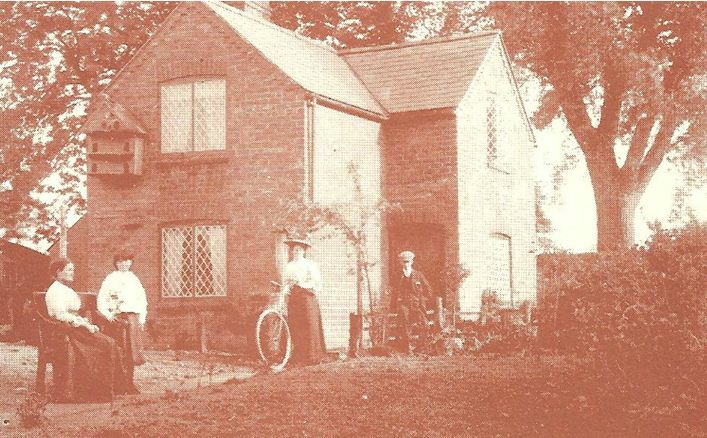 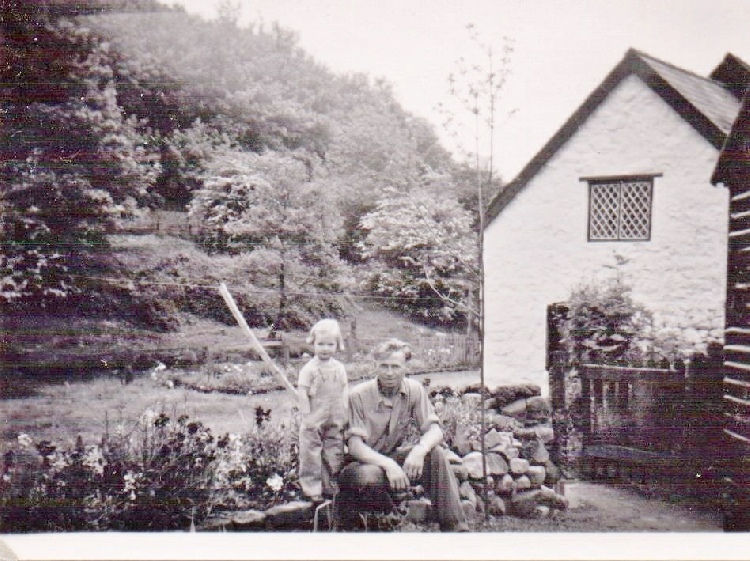 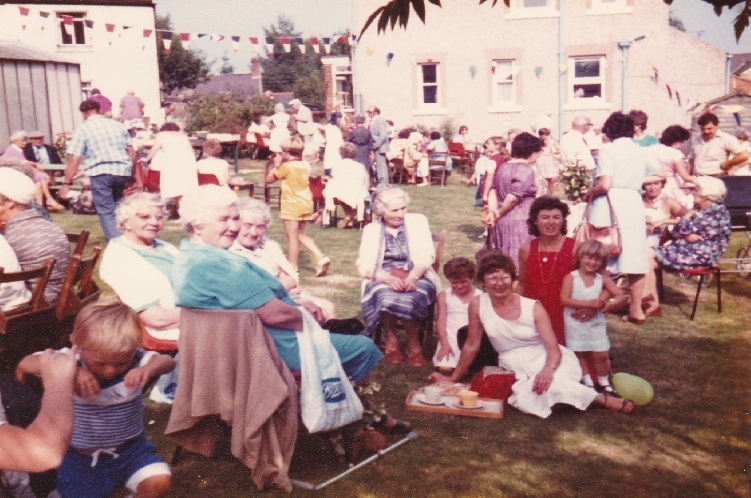 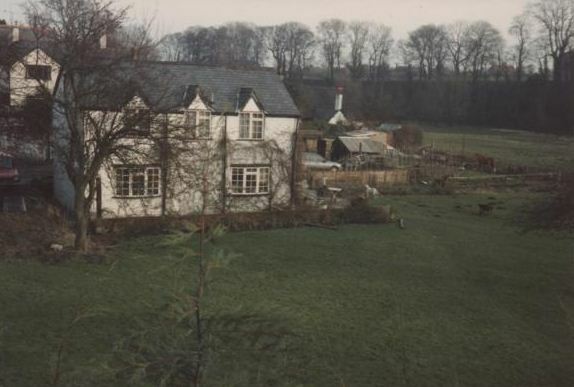 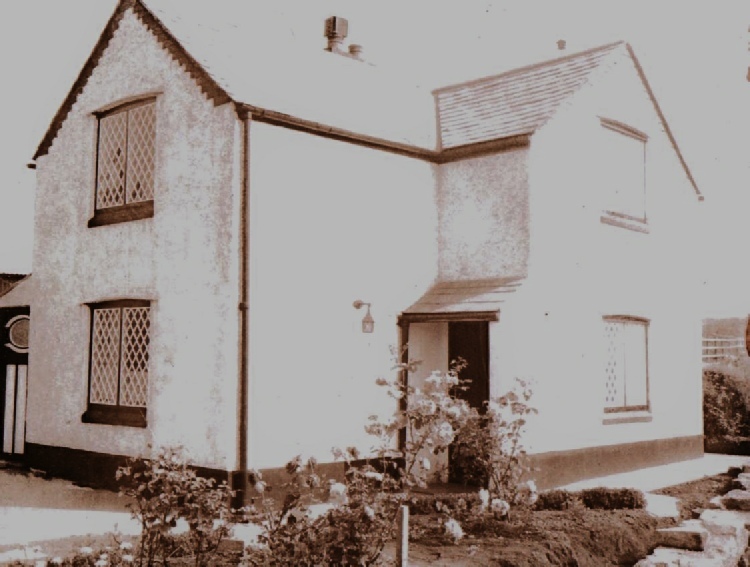 He, his wife Joan and two daughters lived in the Bridge House, Bersham from the early 1950’s to the late 1980’s. 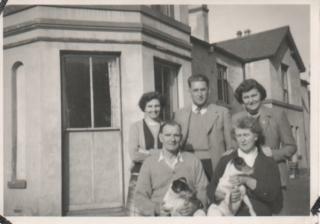 His daughter is Susanne and it was his son in law Ken Pritchard who kindly supplied the photographs. 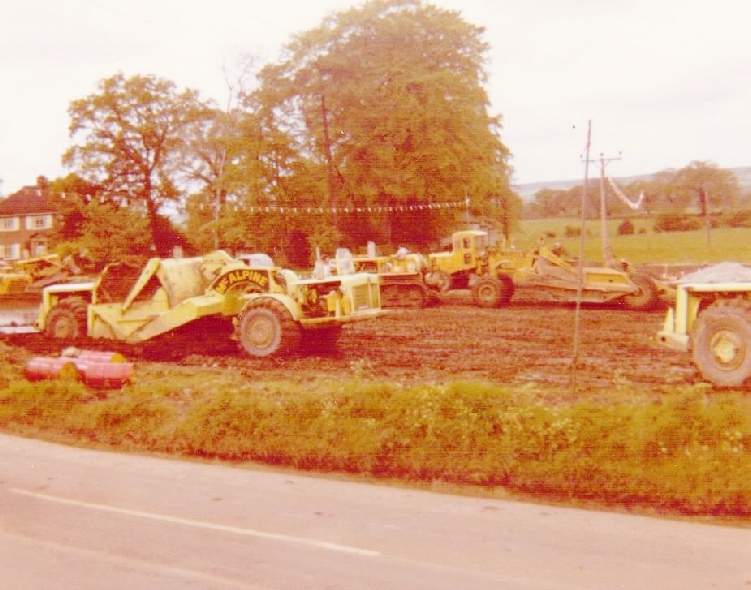 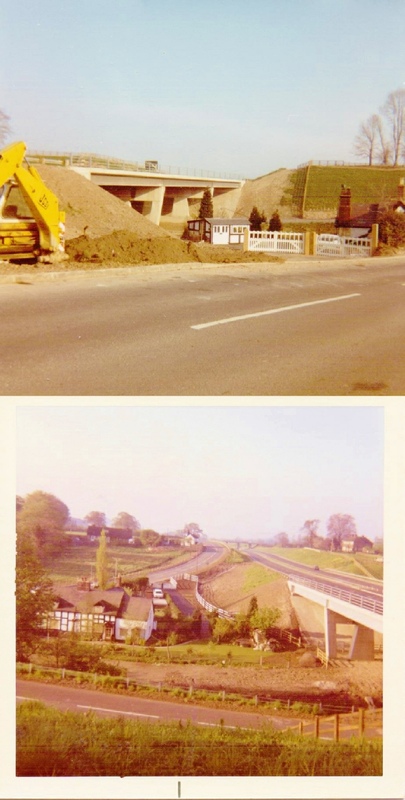 A massive thank you to Susanne and Ken Pritchard for sharing these photographs. 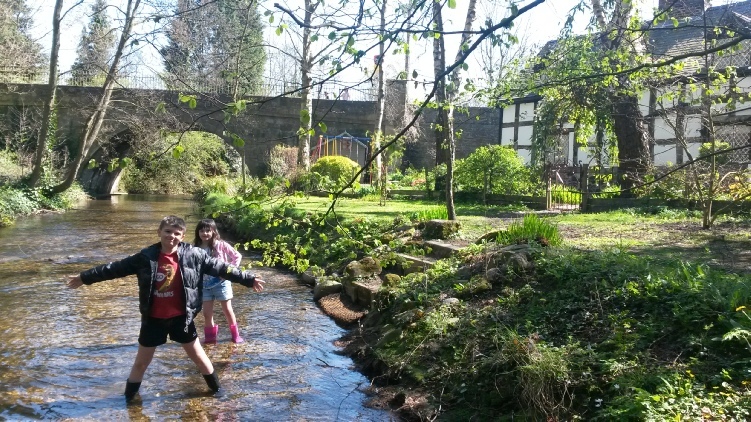 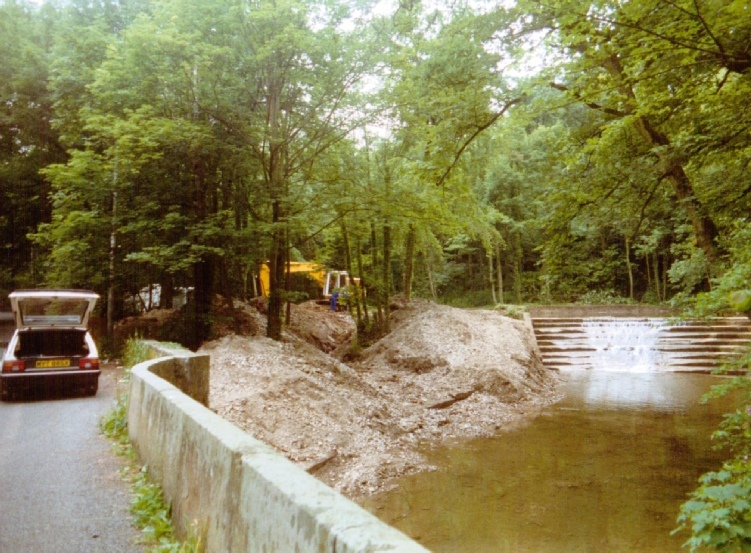 The construction date of this weir is uncertain but it may have been built in medieval times. 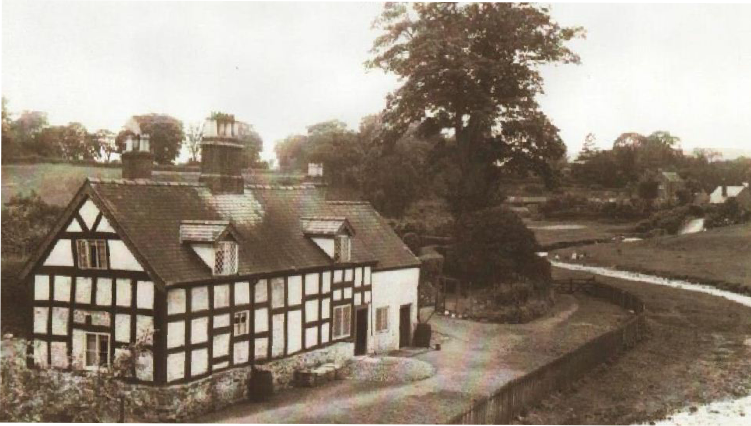 Another theory is that it was built around 1763. 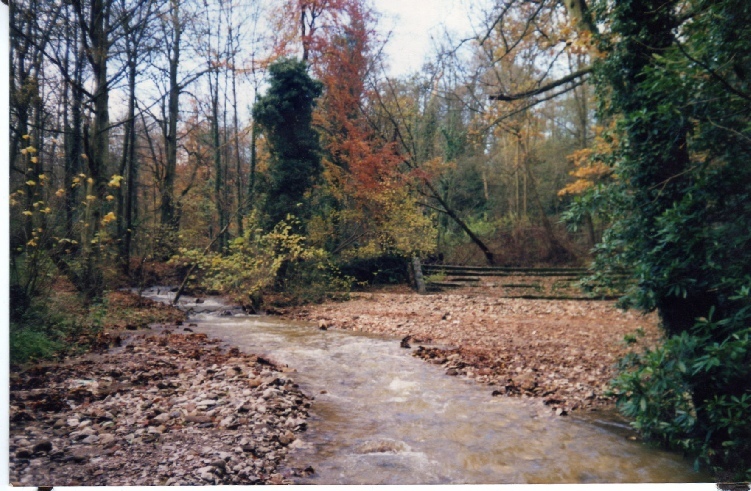 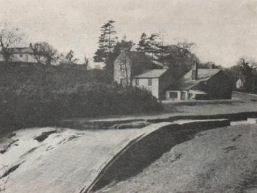 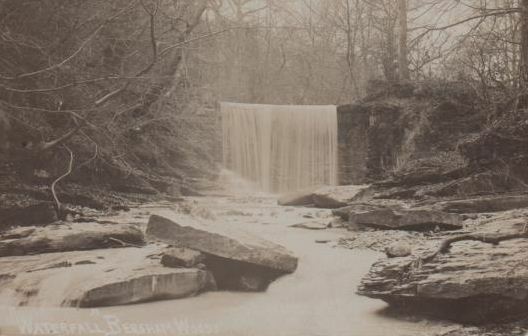 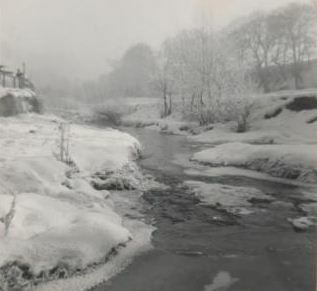 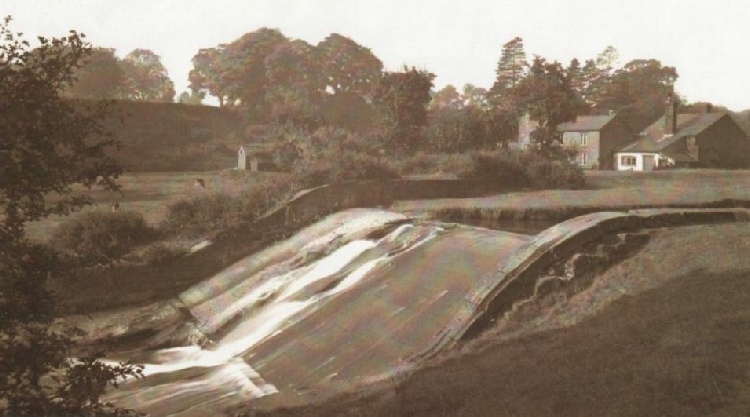 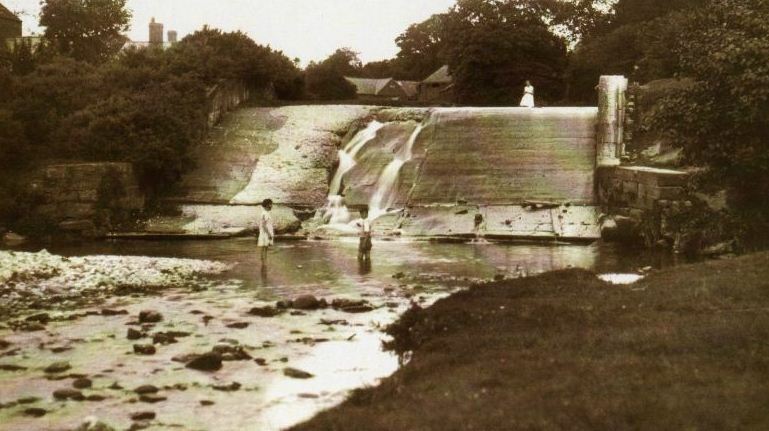 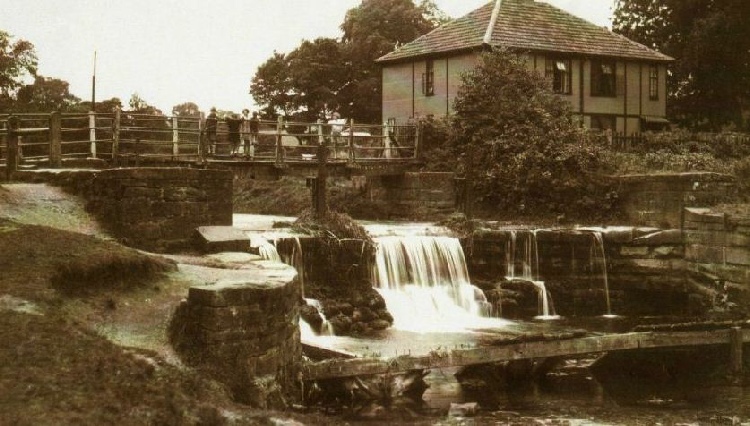 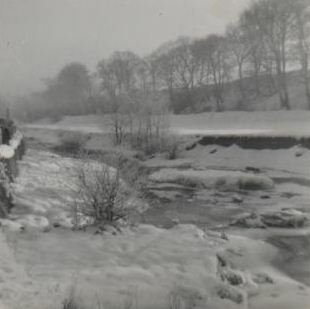 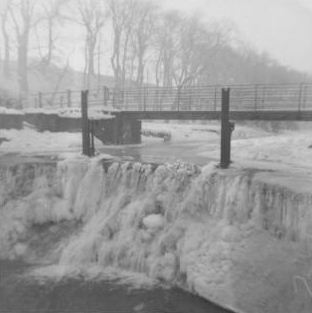 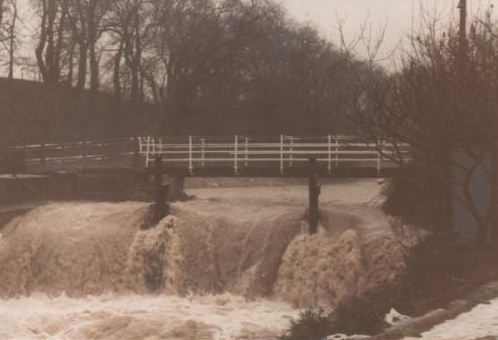 The purpose of the weir was to provide a head of water at the leat take off point. 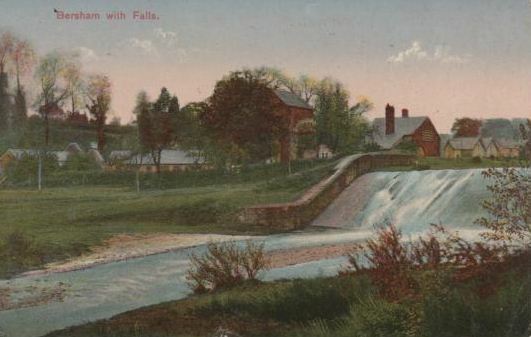 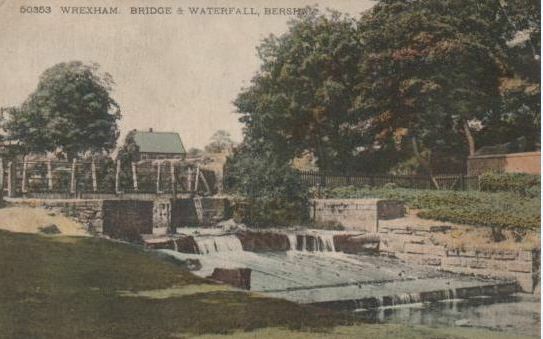 To the right of the weir is the sluice gate which controlled the flow of water along the leat to the corn mill and after that the ironworks. 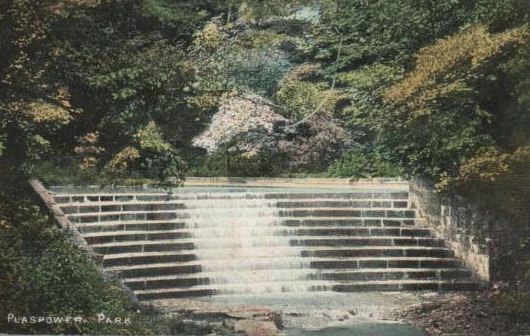 The steps were built in the early 1900’s. 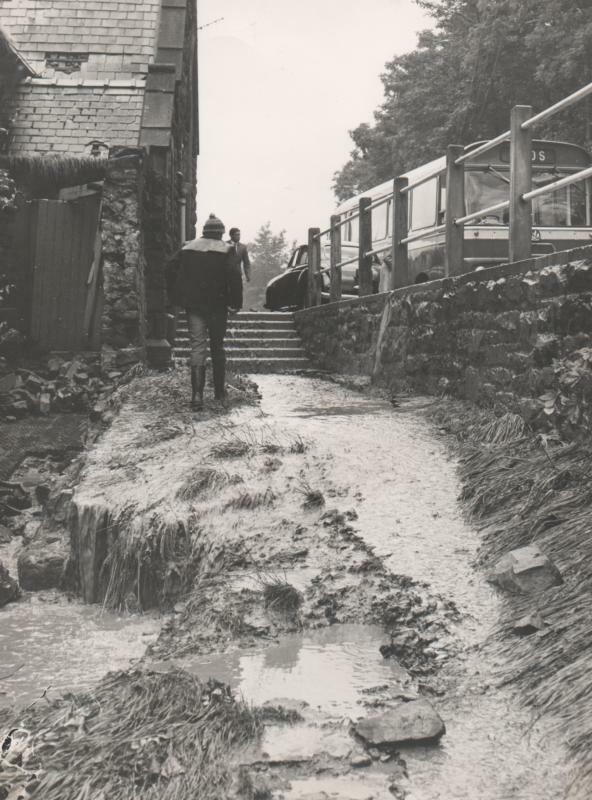 The rumour is that they were built by Russian prisoners of war, thus the local name the ‘Russian Steps’. 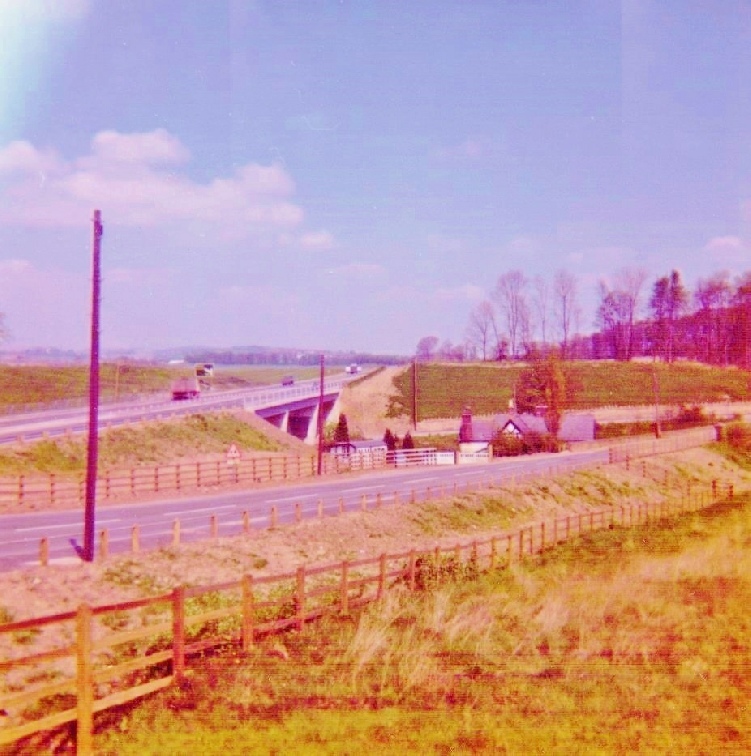 Looking North towards where the fly over is now situated. 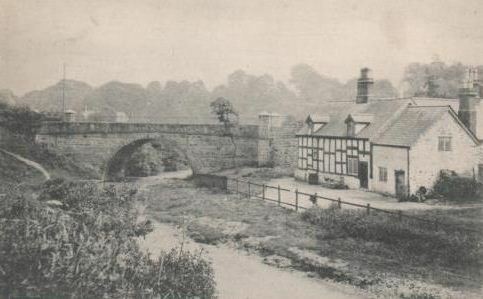 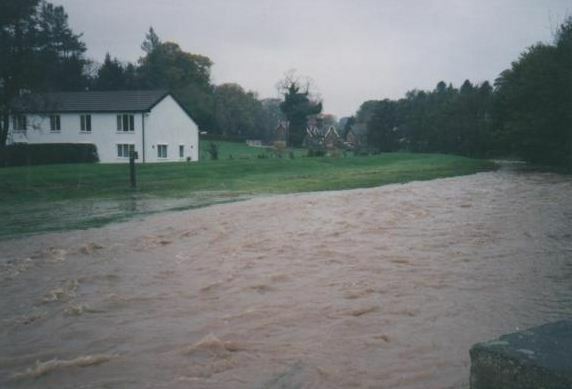 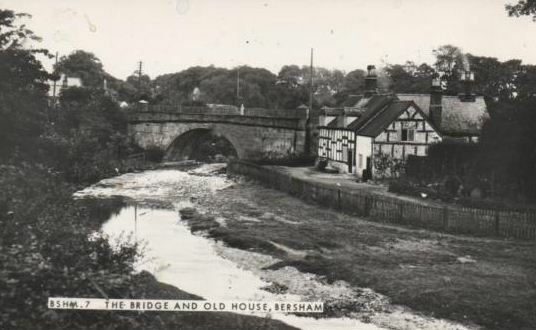 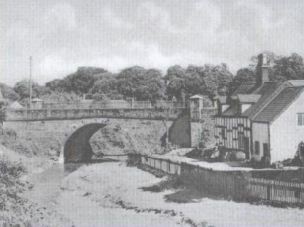 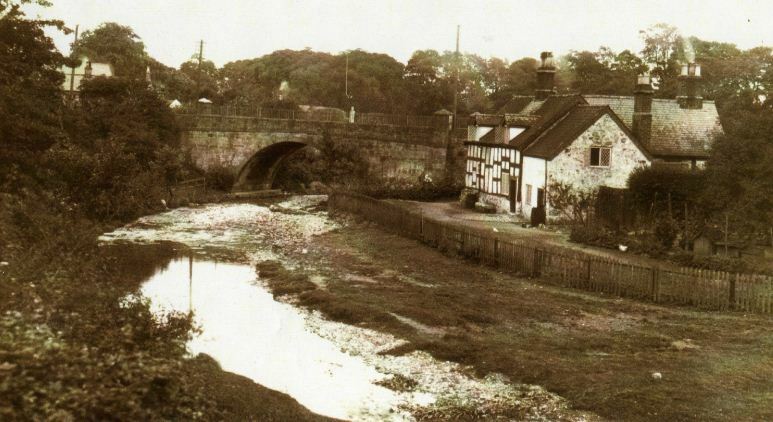 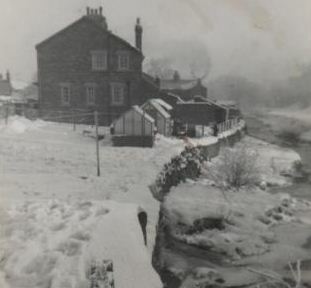 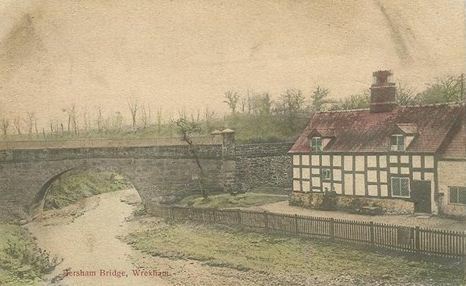 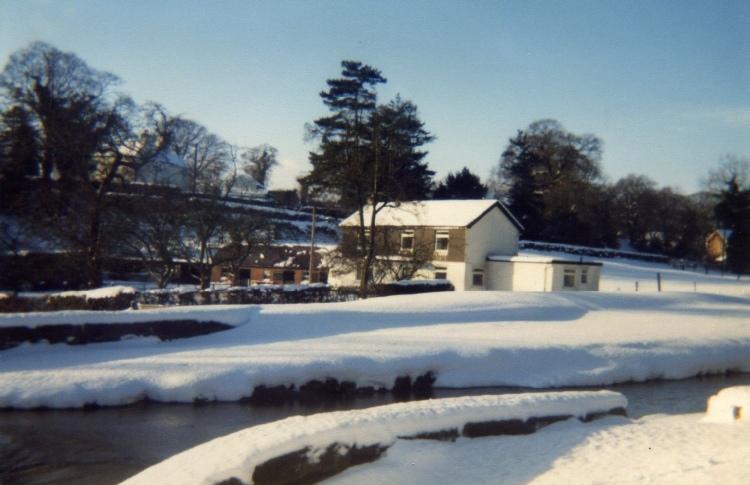 Bersham Bridge House is on the right. 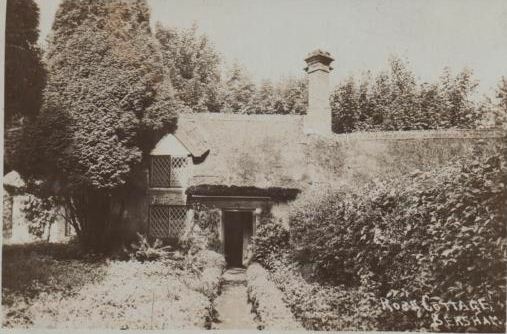 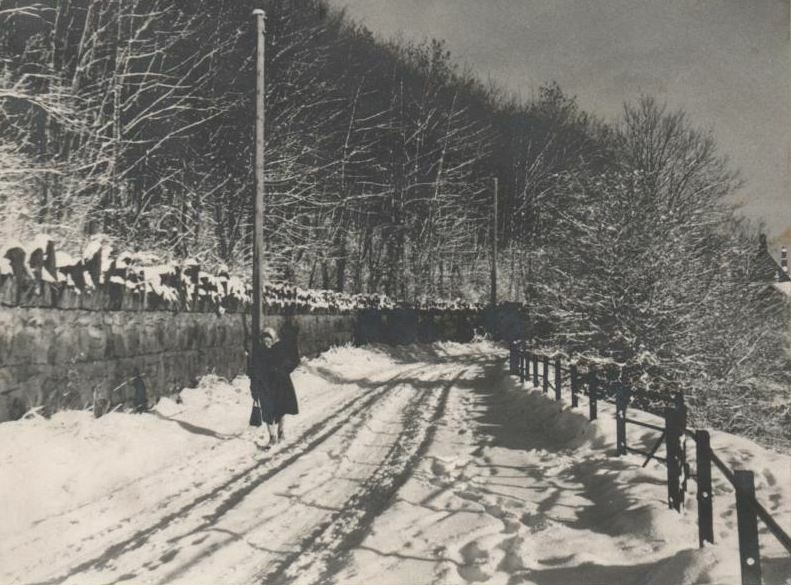 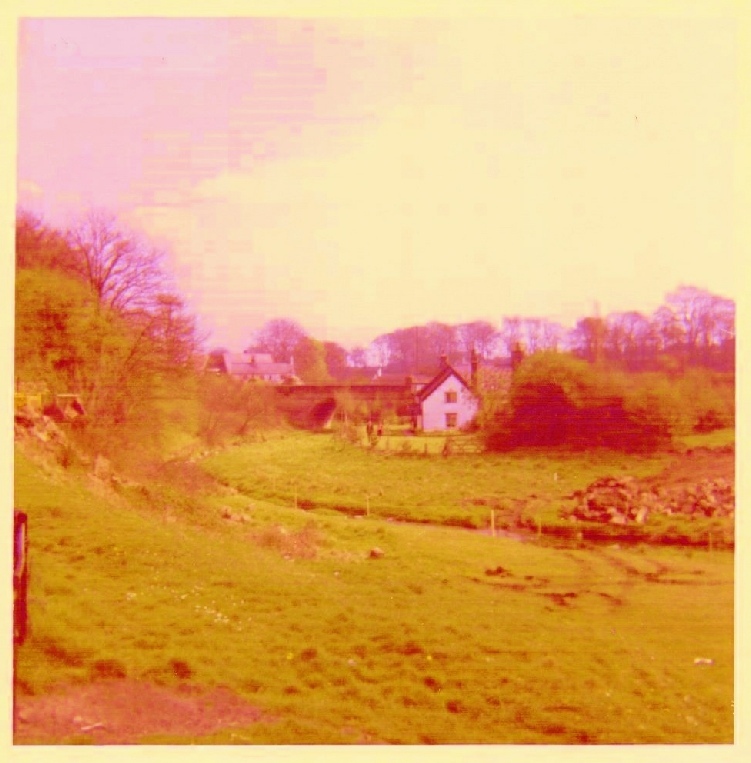 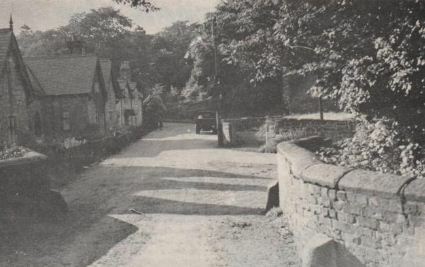 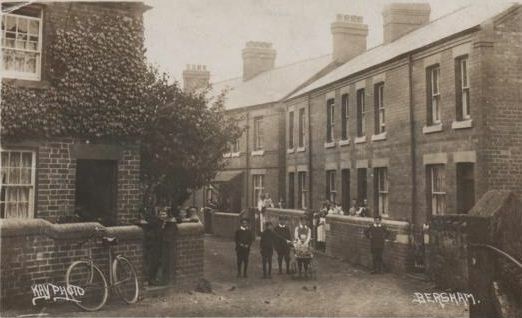 This photograph shows part of the old lane that used to go past Bryntirion and then on to the White House. 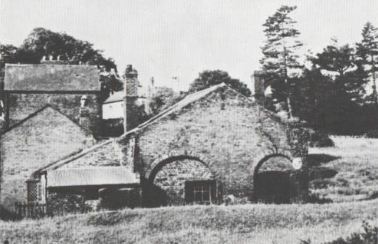 The Machine House is in the background. 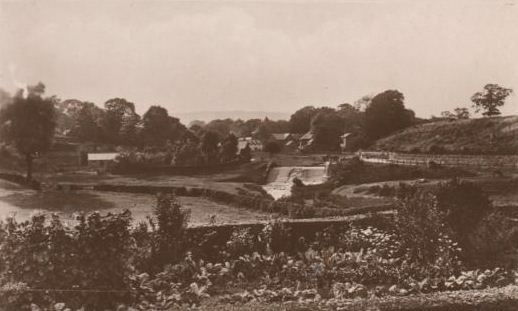 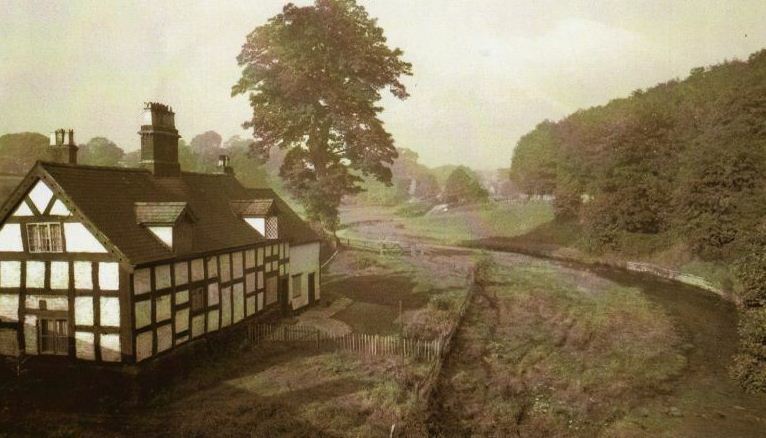 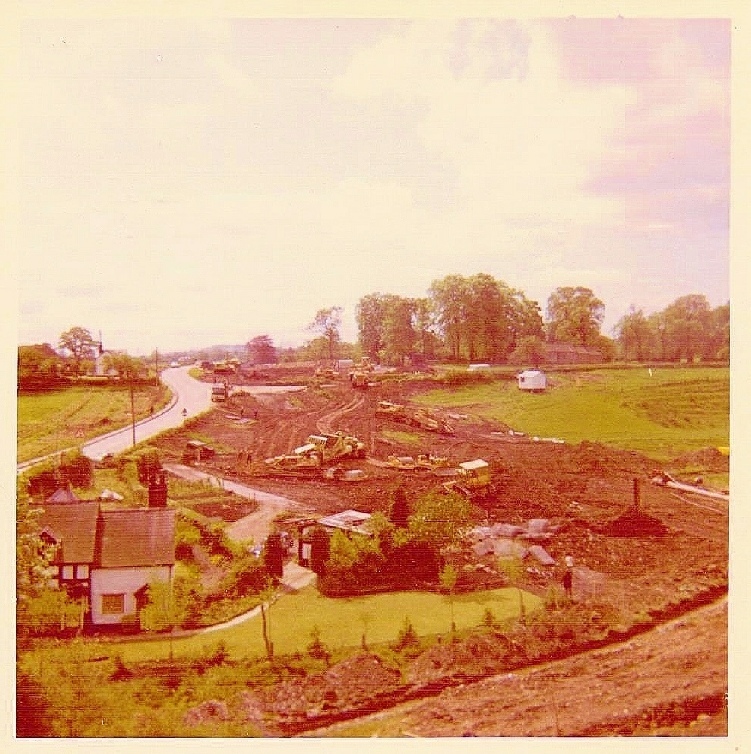 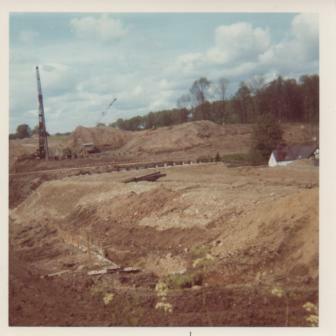 Looking south from the old lane to where the sunken part of the bypass is now situated. 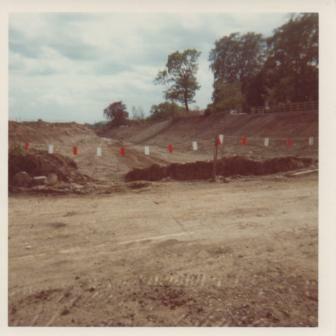 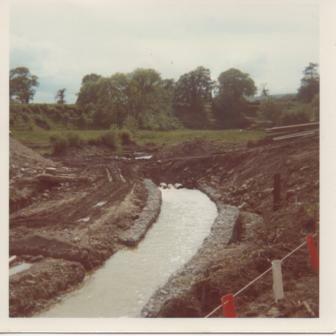 This photograph is of the river being diverted to enable the flyover to be built directly above. 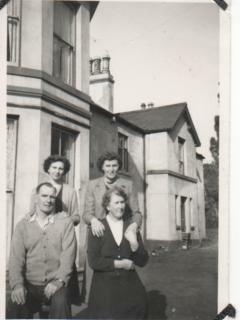 Many thanks go to Annette McCarthy for sharing these photographs with me. 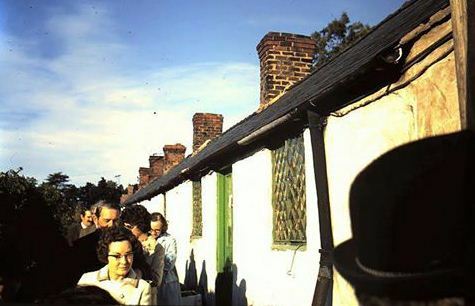 1 – George Williams (outside Bunkers Hill Cottages), 2 – Howell Williams (of Celmar Grove) & Reg Williams in Bersham, 3 – Howell, Reg & Rex (the dog), Mill Terrace, 4 – Bob Williams (Bersham Argae before flyover), 5 - Jean Souton (Bersham Argae before flyover), 6 - Alfred & Reg Williams (Bunkers Hill). 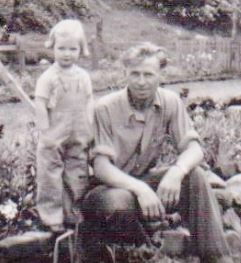 7 – Reg & Fred Agaphonoff (Bersham Argae). 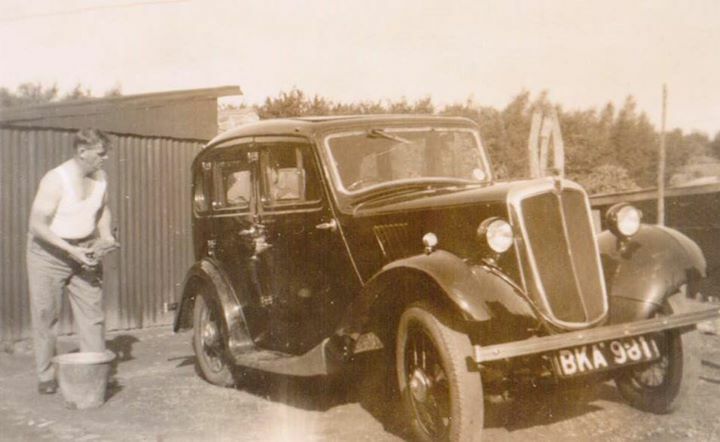 8 – Morris Cowley parked outside 1 Pen Y Ddoll. 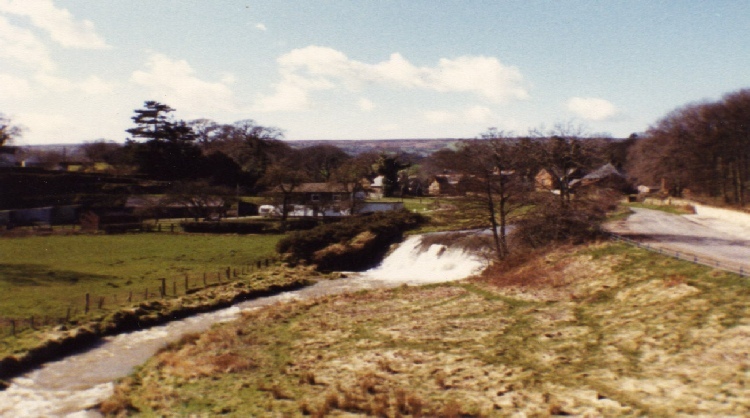 9 – Step waterfall.